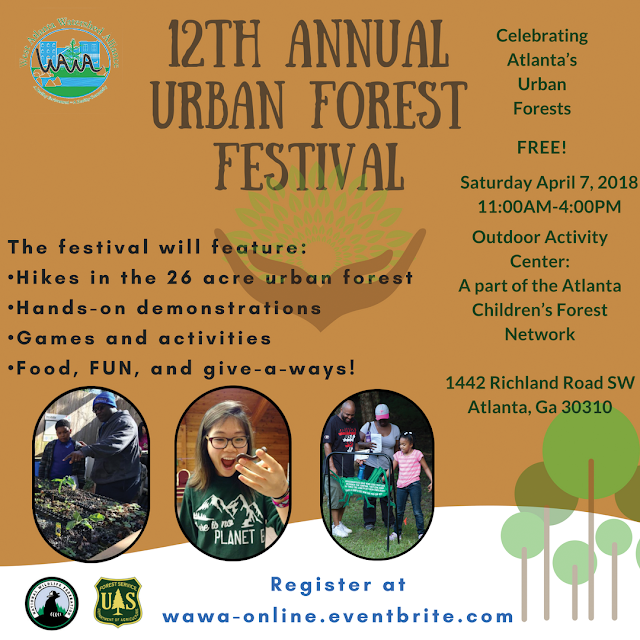 Celebrate Spring at the 12th Annual Urban Forest Festival at the Outdoor Activity Center (OAC) on Saturday, April 7, 2018, 11 am - 4 pm. West Atlanta Watershed Alliance, the USDA Forest Service, and the National Wildlife Federation (NWF) invite you to celebrate southwest Atlanta’s urban forests. 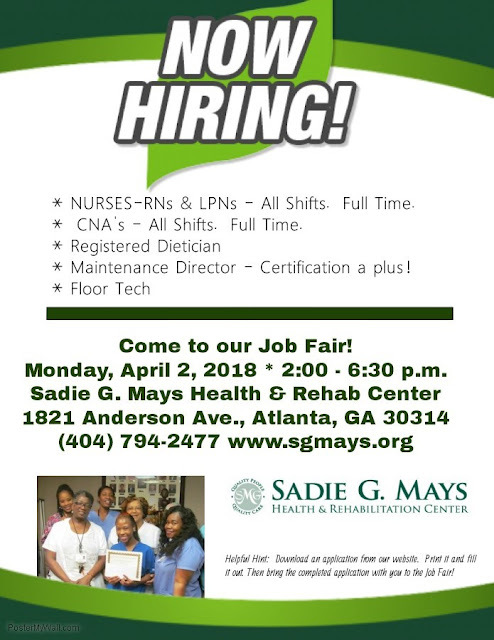 This event is FREE and OPEN to the public, family-friendly and fun-filled for the whole family! Families are invited to learn about our incredible urban forests and their wildlife inhabitants. There will be educational and entertaining exhibits, live wildlife, guided hikes and tours of the 26-acre OAC urban forest, food sampling, giveaways, and hands-on activities and demonstrations by WAWA, NWF’s Earth Tomorrow Program, the USDA Forest Service, and other partners. This a great event to kick off Spring! For the comfort of all, no pets please. Due to the cyber breach issues, the March 31st Neighborhood Watch training has been canceled. It will be rescheduled for a later date.